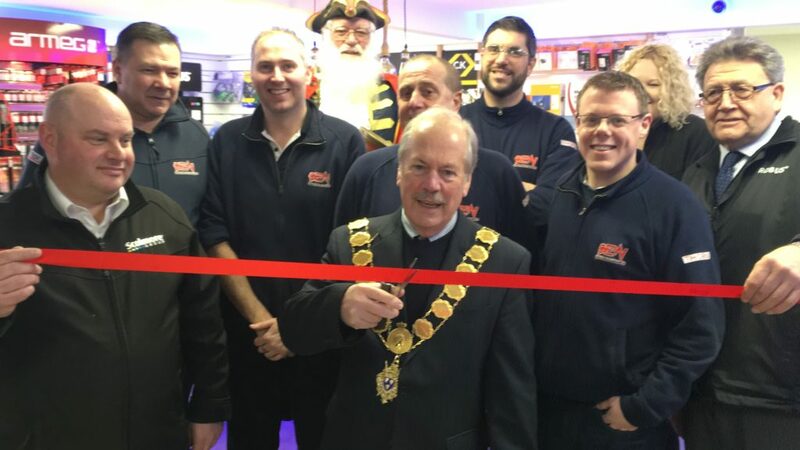 When it came to the official opening of a new business venture in Shrewsbury, who better to cut the ribbon than the town’s own Mayor, Cllr Peter Nutting? 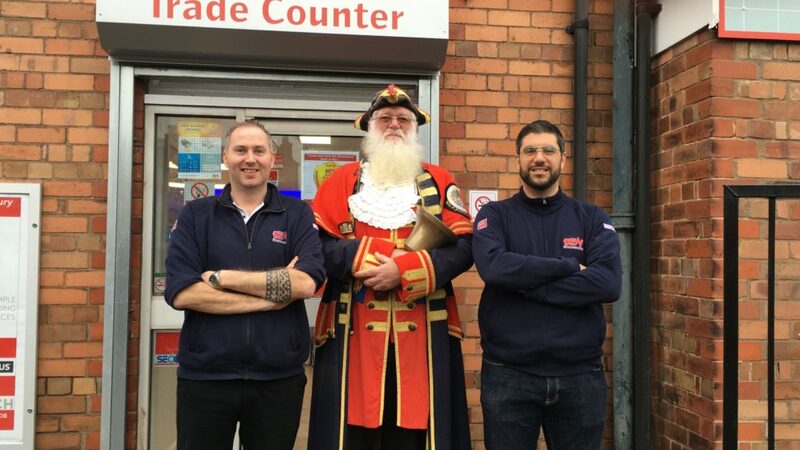 Cllr Nutting’s arrival was announced by the 7ft Town Crier, Martin Wood, and the mayor was more than happy to spend some time chatting with local electricians, suppliers, and the BEW team. The event, hosted by the BEW management team of Dan Wornell and Will Pablos, was a huge success and attracted much attention in the local area. Not only did the free food and drink prove to be a massive hit with the contractors, but with in-store stands and demonstration vans from suppliers Scolmore Group, Hager, Armeg Tools and ROBUS Lighting, BEW Shrewsbury has had a cracking start. 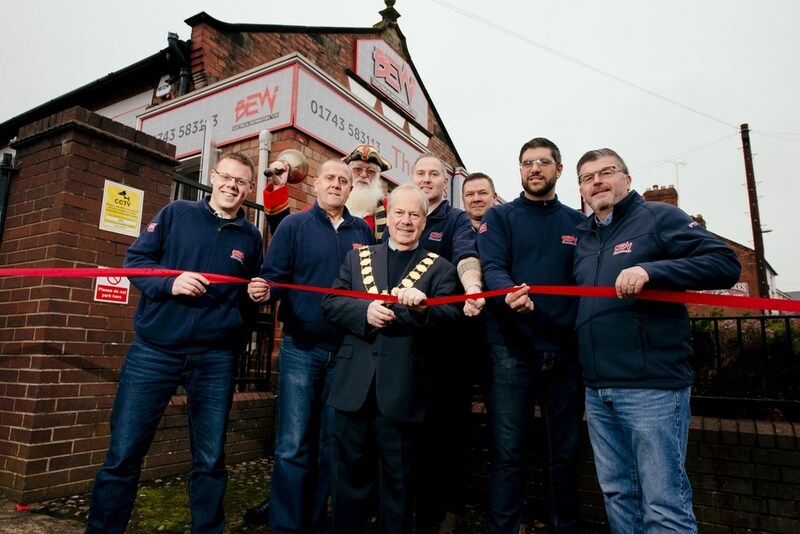 The old building housing BEW’s new branch was truly transformed during a detailed fit-out. The premises now feature a contemporary trade counter, modern offices and plenty of storage. Their staff are friendly, knowledgeable and always go the extra mile for their customers. Dan, Will and all of their team are available Monday to Friday from 7.30am till 5pm.